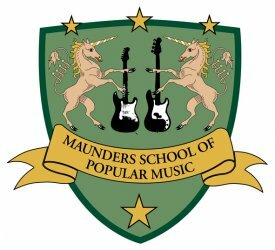 Maunder's School of Popular Music offers high quality, friendly, laid back music tuition with professional music industry musicians. We offer Guitar lessons, Singing lessons, Bass lessons, Drum lessons and Keyboard lessons all from our two Manchester schools. We teach all levels from beginners to advanced and we design our lessons to suit the style of learning preferred by the individual student. All of our tutors have been CRB checked and have a large amount of teaching experience.If you are looking to learn just for fun or take your playing to the next level then this is the place for you.